Thank you for visiting NoSkidSafety.com It is fast and easy for all schools, military, government and non-profit agencies to shop with us. 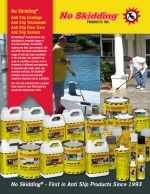 We accept your purchase orders directly in our online shopping cart. If you prefer you are always welcome to use any of the three major credit cards during checkout as well. You may also place your order over the telephone and one of our customer support representatives are always available during our normal trading hours to assist. Thank you again for visiting NoSkidSafety.com and we hope you enjoy your shopping experience! Click here to get a copy of our W-8BEN Form. 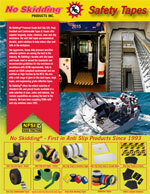 Legal Business: No Skidding Products, Inc.